The three hapless henchmen are back, and they’re full-fledged members of the Claw’s family guard! On another note, since it seems more new readers are joining every week, I’d like to remind everyone that Supervillainous updates every Monday and Friday. It’s a new Comic of the Week, as well! Sunset Grill, by Kat Feete, is a long-running CGI sci-fi comic. It tells the story of a future Earth where humanity is a source of cheap labor for wealthier alien races, and a global government barely keeps the planet’s economy going. It focuses on the patrons of the titular Sunset Grill, and their struggles to survive in a harsh world. It’s got a huge archive, so if you’ve got some time to kill, give it a look! 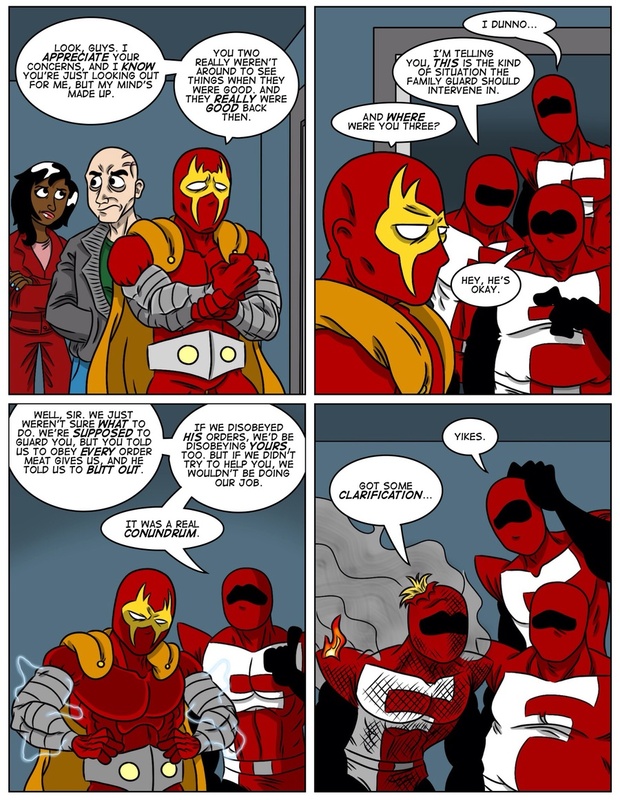 You can leave comments by clicking here, leave a trackback at http://supervillainous.spiderforest.com/comic/job-description/trackback/ or subscibe to the RSS Comments Feed for this post. Awww, poor henchman. That clarification was… shocking. WHat! How did I miss SV for a week! This only reinforces the import of asking questions proactively!